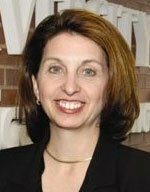 Judith A. Cohen is Professor of Psychiatry at Drexel University College of Medicine, and Medical Director of the Center for Traumatic Stress in Children & Adolescents at Allegheny General Hospital in Pittsburgh, PA.
With Drs. Tony Mannarino and Esther Deblinger, Dr. Cohen developed and tested Trauma-Focused Cognitive Behavioral Therapy (TF-CBT) for traumatized children described in the books Treating Trauma and Traumatic Grief in Children and Adolescents and Trauma-Focused CBT for Children and Adolescents: Treatment Applications and the online training course TF-CBT Web (www.musc.edu/tfcbt). She has served on the Board of Directors for the American Professional Society on the Abuse of Children (APSAC) and the International Society for Traumatic Stress Studies (ISTSS). She is on the editorial board of the Journal of the American Academy of Child and Adolescent Psychiatry (AACAP) and is Chair of the AACAP Child Maltreatment and Violence Committee and the National Child Traumatic Stress Network’s Child Sexual Abuse and Traumatic Grief Committees. She consults to Sesame Street and the Tragedy Assistance Program for Survivors to develop resources for traumatically bereaved children. 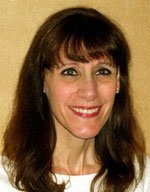 Esther Deblinger, Ph.D. is a Professor of Psychiatry and co-founder and co-director of the Child Abuse Research Education and Service (CARES) Institute at Rowan University School of Osteopathic Medicine in Stratford, New Jersey. Dr. Deblinger has received funding to support research on the impact and treatment of child sexual abuse as well as other trauma(s) through grants from the Foundation of UMDNJ, the National Center on Child Abuse and Neglect and the National Institute of Mental Health. She and her collaborators, Drs. Judith Cohen and Anthony Mannarino, developed and extensively tested Trauma-Focused Cognitive-Behavioral Therapy (TF-CBT), a treatment program that has evolved as the standard of care for children and families facing trauma. Dr. Deblinger also collaborated with Dr. Melissa Runyon in developing and evaluating another evidence-based treatment approach, Combined Parent Child Cognitive Behavioral Therapy, designed for parents at risk for child physical abuse and their children. Dr. Deblinger has co-authored numerous scientific publications and several widely acclaimed professional books on the treatment of child sexual abuse, physical abuse and other childhood traumas as well as several children’s books. Her work over the past 25 years has been recognized with awards from Woman’s Day magazine, the state of New Jersey’s Office of the Child Advocate, the New Jersey General Assembly and the American Professional Society on the Abuse of Children (APSAC). Dr. Deblinger has served two terms on the Board of APSAC; she is a founding fellow of the Academy of Cognitive Therapy and she remains an active clinician, trainer and researcher. Dr. Mannarino is the Director of the Center for Traumatic Stress in Children and Adolescents and Vice Chair, Department of Psychiatry, Allegheny General Hospital, Pittsburgh, PA. He is also Professor of Psychiatry at the Drexel University College of Medicine. Dr. Mannarino has been a leader in the field of child traumatic stress for the past 25 years. He has been awarded numerous federal grants from the National Center on Child Abuse and Neglect and the National Institute of Mental Health to investigate the clinical course of traumatic stress symptoms in children and to develop effective treatment approaches for traumatized children and their families. 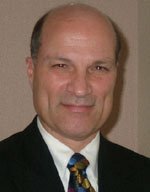 Dr. Mannarino has received many honors for his work, including the Betty Elmer Outstanding Professional Award, the Most Outstanding Article Award for papers published in the journal Child Maltreatment given by the American Professional Society on the Abuse of Children (APSAC), the Model Program Award from the Substance Abuse and Mental Health Services Administration for “Cognitive Behavioral Therapy for Child Traumatic Stress”, and the Legacy Award from the Greater Pittsburgh Psychological Association. Dr. Mannarino has recently completed two-year terms as the President of APSAC and the President of the Section on Child Maltreatment, Division of Child and Family Policy and Practice, American Psychological Association. He is one of the co-developers of Trauma-Focused Cognitive-Behavioral Therapy (TF-CBT).